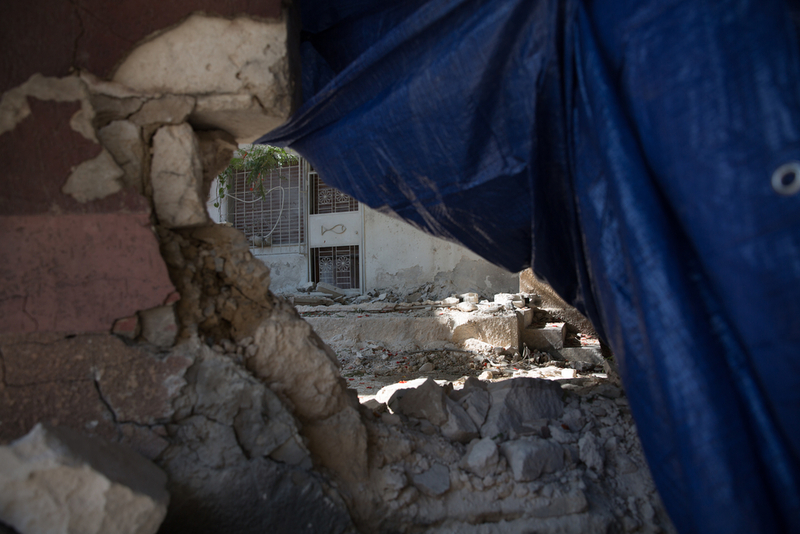 Tunis – 7 September 2018 – Thousands of refugees, migrants and asylum seekers arbitrarily held in Libyan detention centres must be immediately released and evacuated to safety out of the country urges Médecins Sans Frontières/Doctors Without Borders (MSF) today as a fragile ceasefire in Tripoli continued for a third day. Existing mechanisms to get refugees and migrants out of Libya have stalled in recent months and the medical humanitarian organisation calls for an urgent scale up. Tripoli has seen the worst fighting in years with heavy shelling in residential areas resulting in over 60 people killed and hundreds wounded, the majority civilians, according to Ministry of Health estimates. 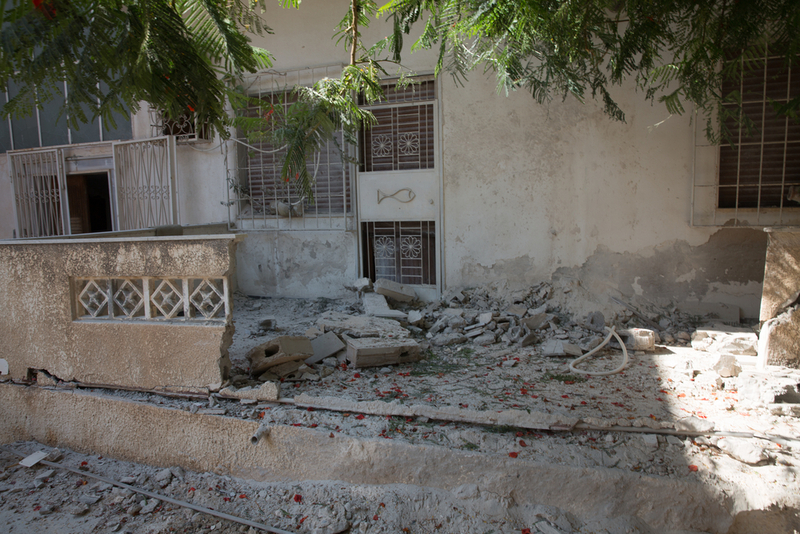 Libyan health workers employed by MSF have had their homes hit in the shelling. MSF team’s access to refugees and migrants held in detention centres became impossible from the first day of fighting when hostilities were dangerously close to one of the biggest detention centres holding around 700 people. Stray rockets have landed next to detention centres and the areas surrounding them have been under fire. As the conflict intensified, MSF was unable to access another four detention centres where teams were providing healthcare via regular mobile clinics. Damaged building in Bin Ashour area, consequence of the fighting that erupted in Tripoli on 26th of August. As a result of the violence, MSF has been forced to suspend regular medical activities and reduce the size of its team. At present MSF is only able to provide limited assistance in Tripoli’s detention centres, namely emergency medical referrals and ad-hoc distributions of food, water and hygiene kits. However, MSF has maintained its medical activities outside of Tripoli in the areas of Khoms, Misrata, and Zliten.Although around 300 refugees and migrants held in Ain Zara detention centre who were in clear danger of getting caught in hostilities were “evacuated” by international agencies last week, they were not taken out of Libya but relocated several kilometres away to the Abu Salim detention centre in Tripoli, which also fell into the line of fire. UN Refugee Agency (UNHCR) and safe countries to rapidly organise the evacuation of refugees and asylum seekers from Libya and expedite their resettlement. UN Migration Agency (IOM) and countries of origin to expedite the evacuation and repatriation of migrants in Libya who wish to return to their home countries. European states and Libyan authorities to stop intercepting people fleeing by sea and returning them to Libya as a means to prevent arrivals to Europe. EU-supported Libyan coastguard vessels have intercepted unprecedented numbers of people on the Mediterranean Sea this year only to return them to Libya. 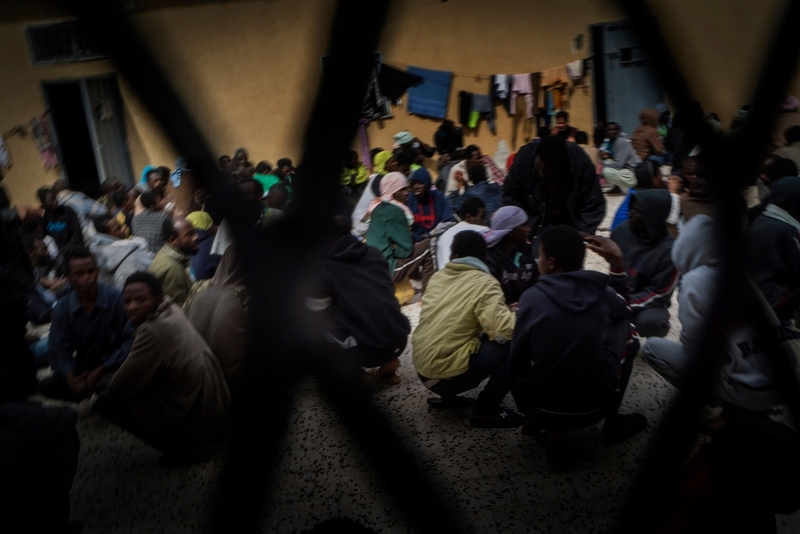 Throughout Libya, refugees and migrants face alarming levels of violence, extortion and exploitation, and many report the widespread criminal practice of kidnap for ransom. There are many survivors of sexual violence, trafficking, torture and ill-treatment.